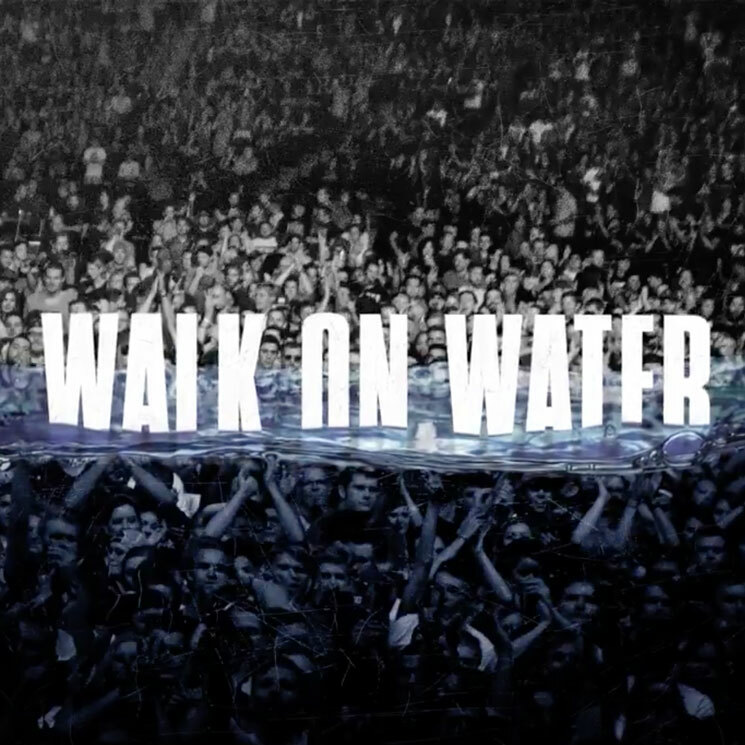 After teasing the single's arrival earlier this week, Eminem has now officially delivered new track "Walk on Water." The song features Beyoncé singing the hook over top of piano and strings, interspersed by some vulnerable verse from Slim Shady. The song is believed to be the first single from his unconfirmed album Revival, and you can hear it in the players below. "Walk on Water" was teased earlier this week in an Instagram post for a fake pharmaceutical prescription, which is believed to be part of a larger rollout for the album itself involving fake websites, phone numbers and real world subliminal advertisements. Eminem is set to perform on Saturday Night Live November 18.